Throughout the process of creating this recipe, mixing up the ingredients, & even baking these cookies, I didn’t realize even one time that I had created a nearly vegan cookie recipe. 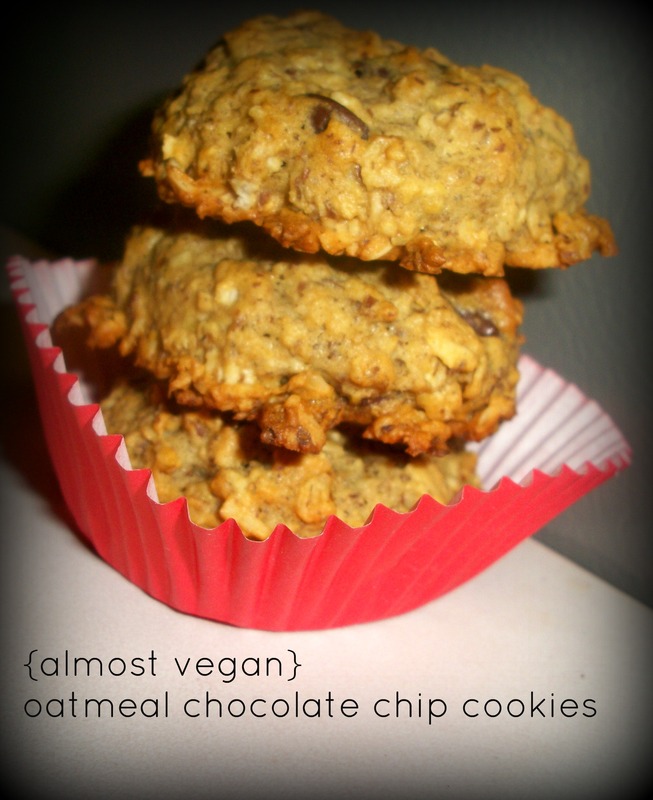 My intention was only to create something egg-free but I decided to health things up a bit, and in turn, created this “almost vegan” cookie recipe. I made them with a friend in mind. A friend who is a vegetarian, eats some dairy, but does not eat eggs. There’s probably a vegetarian classification for that. Perhaps lacto-vegetarian? At any rate, I didn’t actually create a vegan recipe, but after making them, I realized how easily these could be vegan cookies with just one minor substitution. The recipe I share with you here, and the recipe I made, is NOT vegan. The chocolate chips I used do have milk in the them. 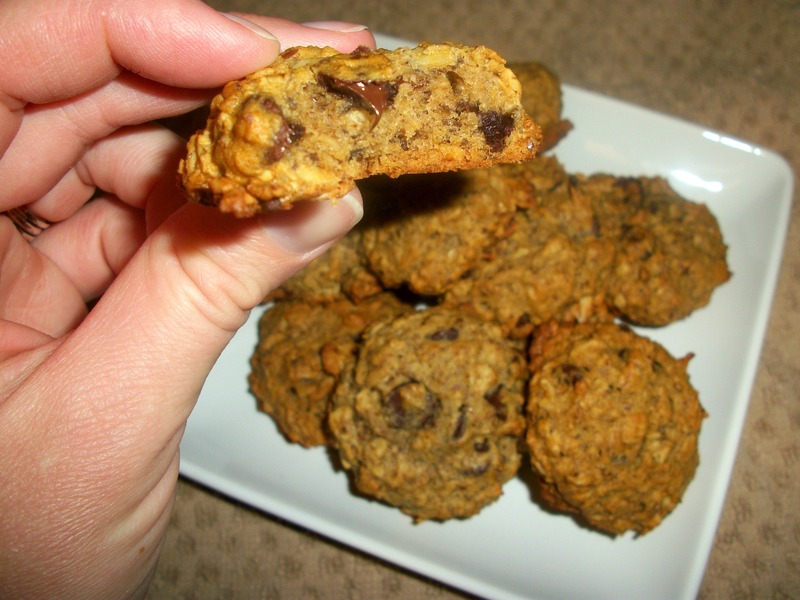 However, swapping those with milk free chocolate chips makes these cookies certifiably vegan! 1. Heat oven to 350. In a large bowl, stir brown sugar & applesauce until blended. Stir in vanilla & flax egg. 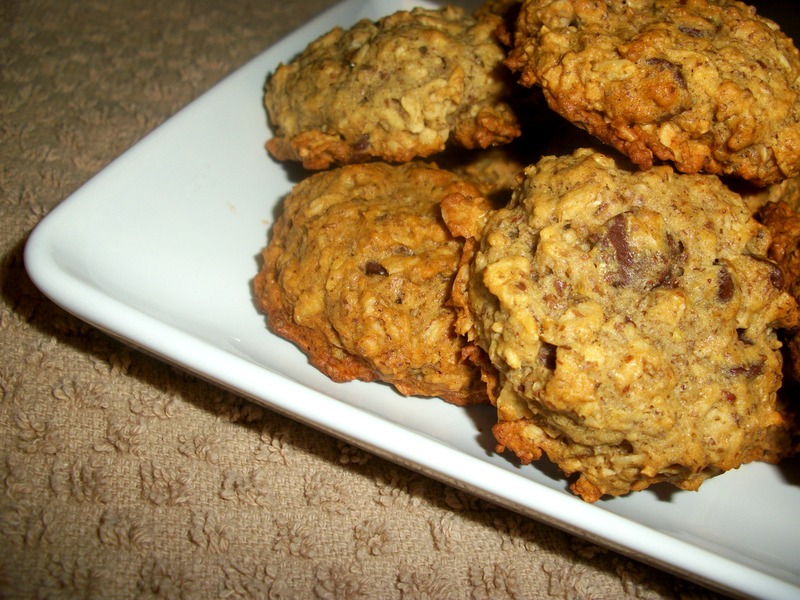 Stir in oats, flour, flax, baking soda, salt & cinnamon. Stir in chocolate chips. 2. Drop by rounded tablespoonfuls onto cookie sheet lined with parchment paper, about 2 inches apart. 3. Bake 11-14 minutes, or until golden brown. Allow to cool slightly before removing from cookie sheet. These cookies are light & airy. 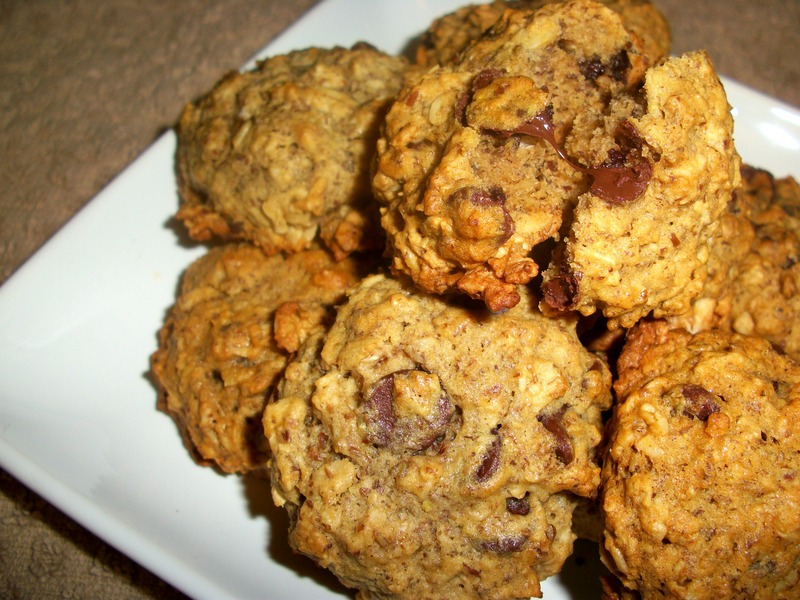 Pillowy & cake-like from all of the oats. Almost vegan, but allll the way delicious. hm! I’ve never heard of a flax egg. how cool!!! Yep! The “recipe” is right on the side of the box. I’ve heard it works for some things, but not all. Worked just fine for these cookies!